During summer, Wellspring strives to watch films in Jesus’ name, ie. as Christians seeking to be entertained but also educated in what values drive our culture. We believe the complete Christ is at the end of whatever incomplete story our movies tell, and that it is the Christian’s task to take people from what they do know to Someone they don’t (like Paul did in Acts 17:16-34). For 5 Sundays, we focus on a different movie, unpacking its themes and messages in light of Scripture. You’re encouraged to go deeper with this week’s film with the Reflection and Questions below. “Sully” is based on true events, and there’s no doubt that the real Captain Sullenberger impresses. Sully had habits of self-discipline that enabled him to do the right thing at the right time; Christians can learn a lot from that, as we go about consistent Christlikeness. But whereas Sully suffered self-doubt and anxiety over his reputation, the Christian awaits a greater judgement and vindication from God. 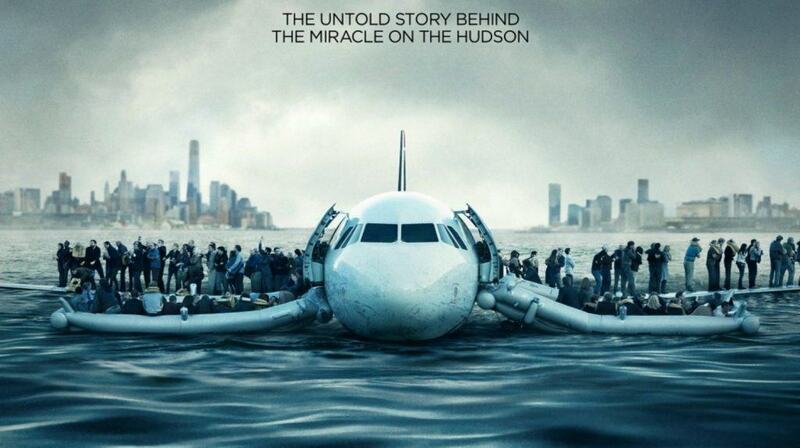 Given the film is about a plane crash, death also looms large. It’s true that all passengers and crew survived that day, but we are reminded of our nagging need to deal with death’s certainty. The Christian worldview handles this by believing the bible’s promise of a new heaven and earth, where fear and death are no more. What difference does it make that this film is based on a real incident? Does it help or hinder its message? Sully does not feel like a hero. Why are we drawn to hero-worship? Where do you think this desire comes from? Read 2 Peter 3:10-14. Where do you see opportunity right now to live a “holy, godly, forward-looking” life? What kind of “efforts” are you making to “be found spotless, blameless, and at peace with God”?